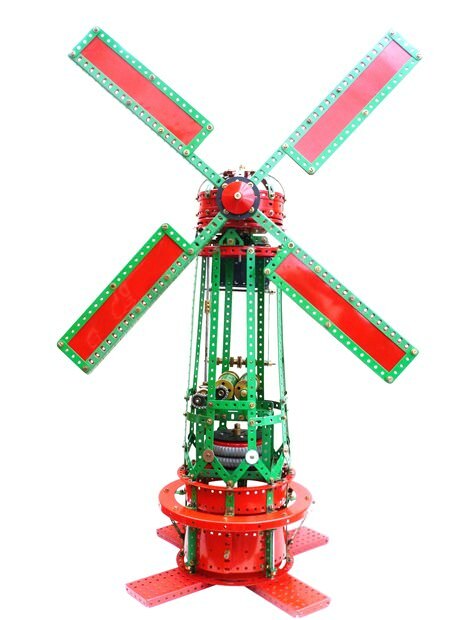 This is a four sail windmill driven by a No. 1 clockwork motor suspended from the fan tail. The instructions are complimented by thirteen colour illustrations.